« Winter Arrives At Hercules Flat! We decided last Saturday that it was time for us to get away for a few days. 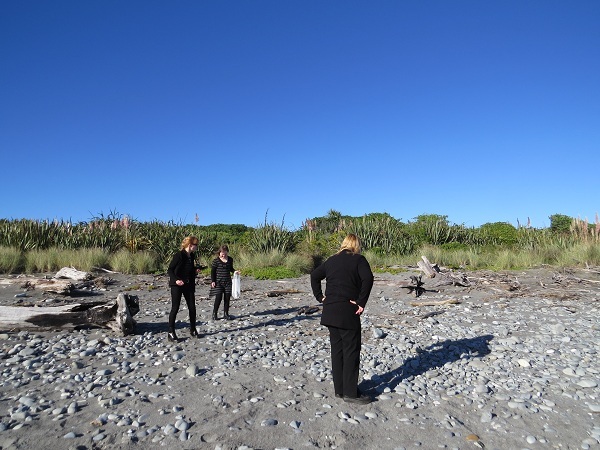 Our destination of choice: Greymouth. Being our normal spontaneous selves we made the decision on Saturday night and set off on Sunday morning. Nothing beats doing things at short notice!! 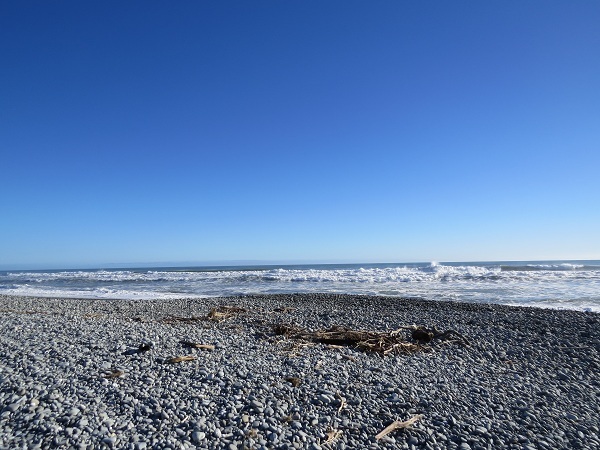 It was a lovely scenic drive and as we wanted to reach Greymouth that same day we did what we like to call “speed tourism”. What is speed tourism I hear you ask? Speed tourism is where you quickly stop the truck, jump out, take some photos, jump back into the truck and roar off. Mum fueling up for the rest of the drive at Cameron Flat. Mum and Ruby fueling up at Cameron Flat. 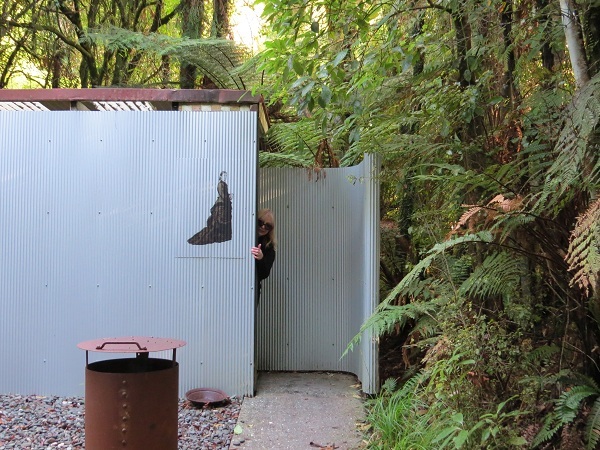 We had a nice little pit stop at Cameron Flat just past Makarora before heading into the Haast Pass. 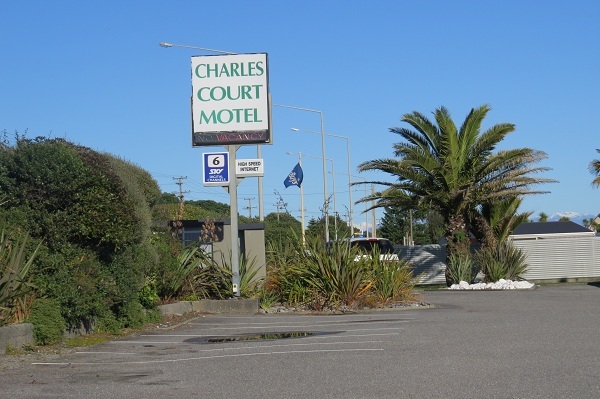 At 6:30pm we rolled up at the Charles Court Motel in Greymouth. Jeremy and Rachel run a good ship. The service is great and it’s right beside the beach! The beach behind the Motel. The sunset behind the Motel! 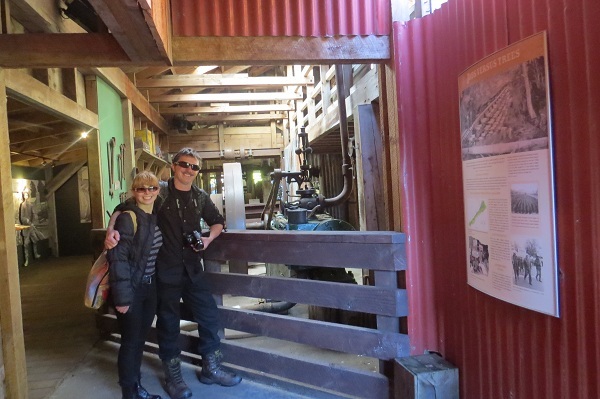 Sam and Ruby at the Shanty Town sawmill. 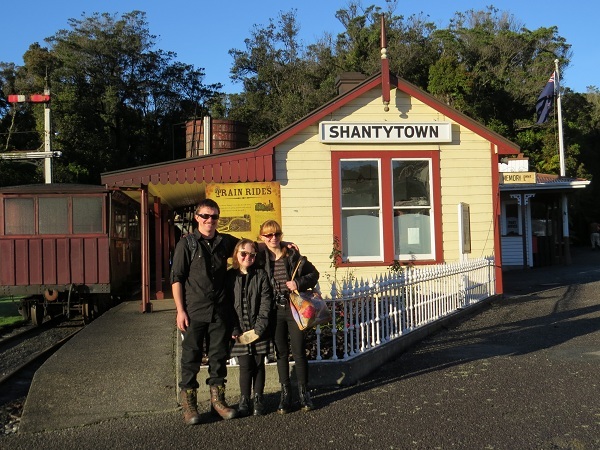 Sam, Belle and Ruby at the Shanty Town train station. Belle has finally agreed to let us put pictures of her on the blog as she is no longer creeped out by it! It only took a few years to convince her! The next three days were filled with fun, excitement and mild insanity. We went to Shanty Town, walked on the beach, went on bush walks, took a truckload of photos and did every other touristy thing humanly possible. 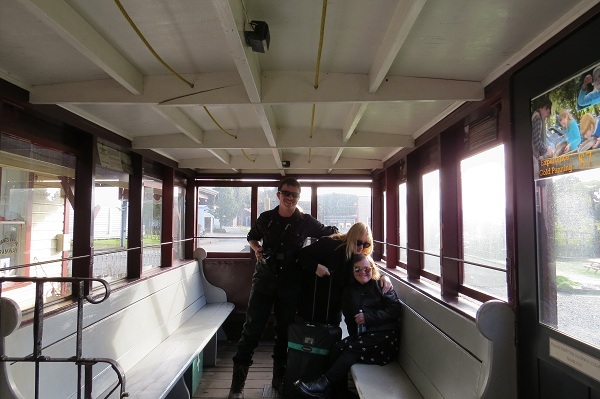 Sam, Mum and Belle on the Train at Shanty Town. 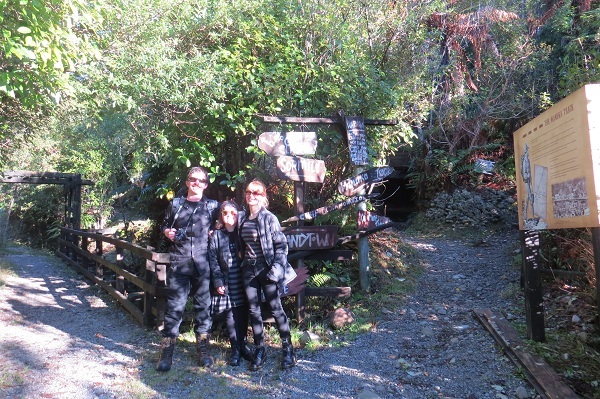 Sam, Belle and Ruby at Gold Panning site at Shanty Town. This is where Mum and Dad would always pose for photos. 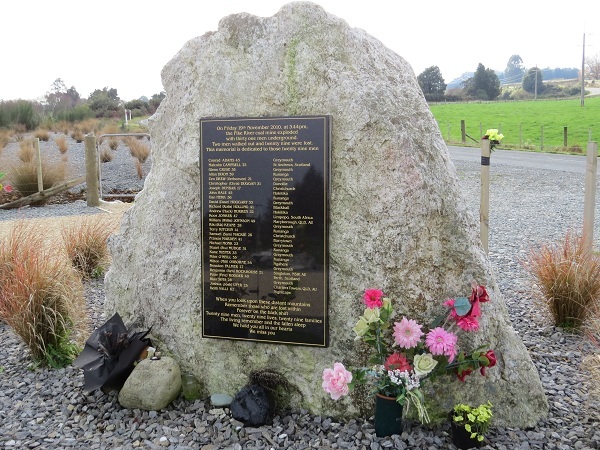 A very moving moment was when we went to the Pike River Memorial at Atarau to pay our respects to the lost miners. We knew it would be emotional but nothing could prepare us for the wave of emotion that hit us as we pulled up. It took about 10 minutes for us to compose ourselves enough to take photos. If you’re ever on the West Coast then a visit to the Memorial is a must. It is a beautiful tribute. 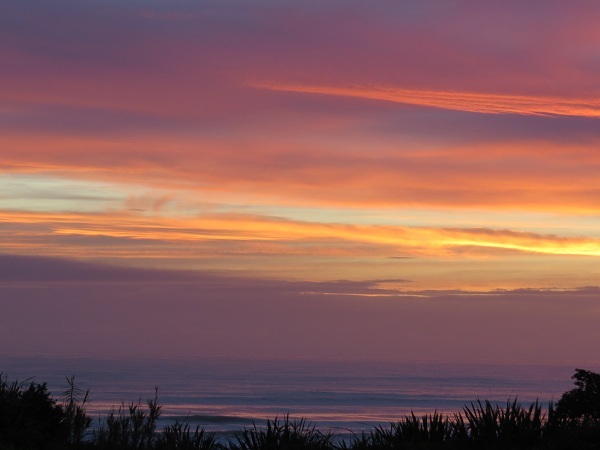 On Thursday we set off from Greymouth at first light and started to make our way home. 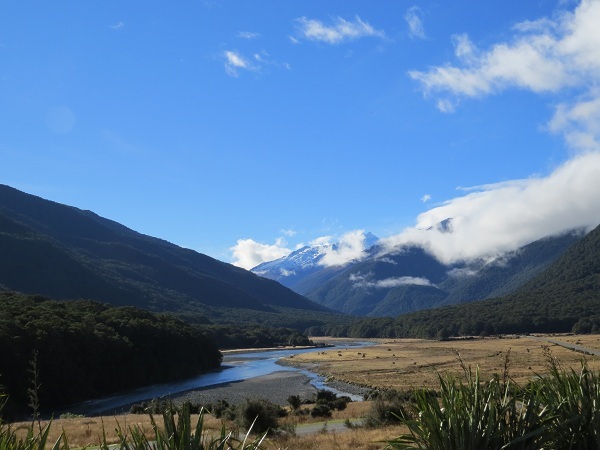 On the way we stopped at both Franz Josef and Fox Glacier. I must admit they are quite impressive. 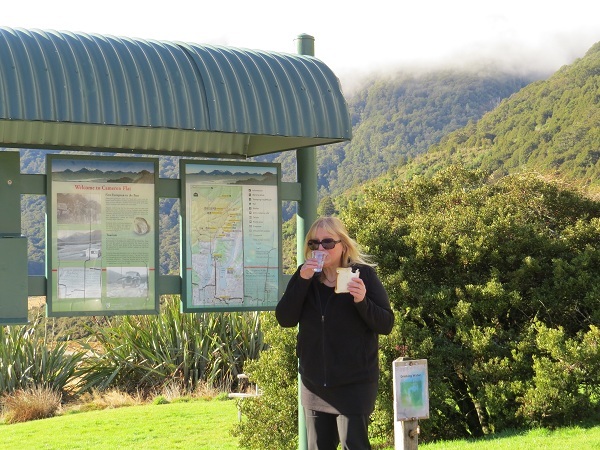 Checking the map at Franz Josef. 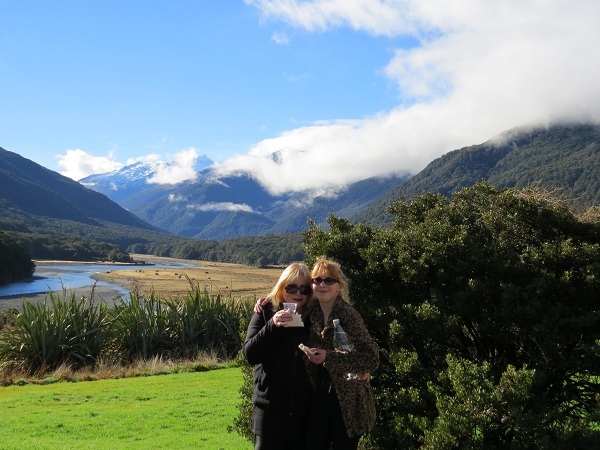 We had several stops on our way home at some lovely scenic reserves as well as the peaceful little settlement of Okarito. We finally crusied up the driveway at around 6:20pm. Nothing like traveling in the truck for hours on end to make you appreciate your Lazy Boy chair!!! I’ve only put a couple of photos on here. Check out my FLICKR page to see the rest of them.